Taking quarterly growth into consideration as of May 2014, the highest growth rate of 2.2 % has been reported for ccTLDs whose global market share is currently at 45.8 % and the number of registrations is approximately 127,260, 470. In contrast, legacy TLDs (domains such as .COM or .GOV) have grown at the rate of 0.6 % with the market share of 54,2 % and about 148, 394, 305 registrations. 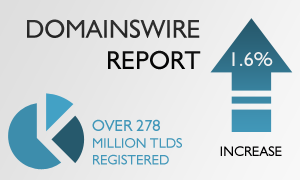 On the ccTLD market, the number one position is occupied by .TK domain with more than 23 million reported domain names. However, the .TK domains are mostly offered free of charge and operate on the basis of completely different business model than those offered by other ccTLD registries. National domains (ccTLDs) continue to be popular and play an important role in establishing local ties as well as enhancing online presence tied to a specific national market. If you need to build an image or strengthen your relationships in another country, consider registering a ccTLD domain name that will help you achieve that goal. Some countries require local presence in order to obtain a domain name but Web Solutions can assist you by offering Local Trustee Service.